PennsylvAsia: 2017 Japanese movie Gintama (銀魂) in Pittsburgh, January 20. 2017 Japanese movie Gintama (銀魂) in Pittsburgh, January 20. Samurai warriors and alien invaders exist side-by-side on the streets of Edo period Japan in Yuichi Fukuda’s big-screen adaptation of Hideaki Sorachi’s bestselling manga. While this chaotic mash-up of sci-fi and period drama aesthetics triggers a relentless sugar rush of visual stimuli, Gintama proves an exhausting and alienating experience for the uninitiated. 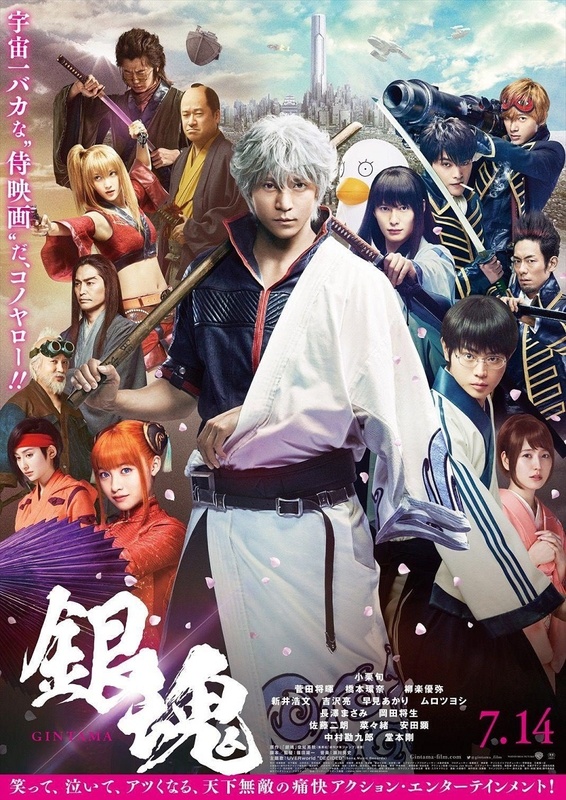 Released in Japan in July, Gintama is the third-highest grossing domestic film in Japan this year. Tickets for the January 20 screening are not yet available.